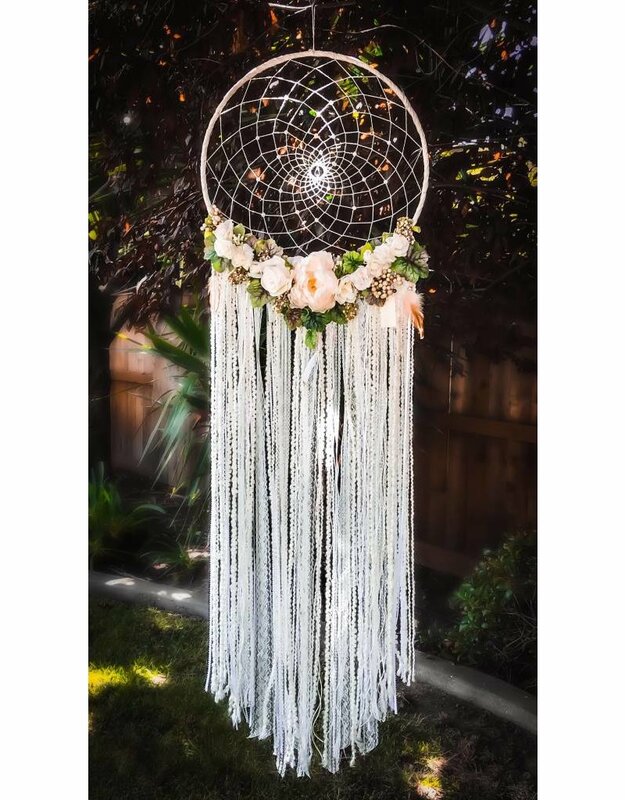 Home / Dreamcatcher - "Oathkeeper"
Bring a magical beauty to that special place with a unique dreamcatcher handcrafted by a local artist from Napa Valley. 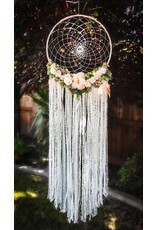 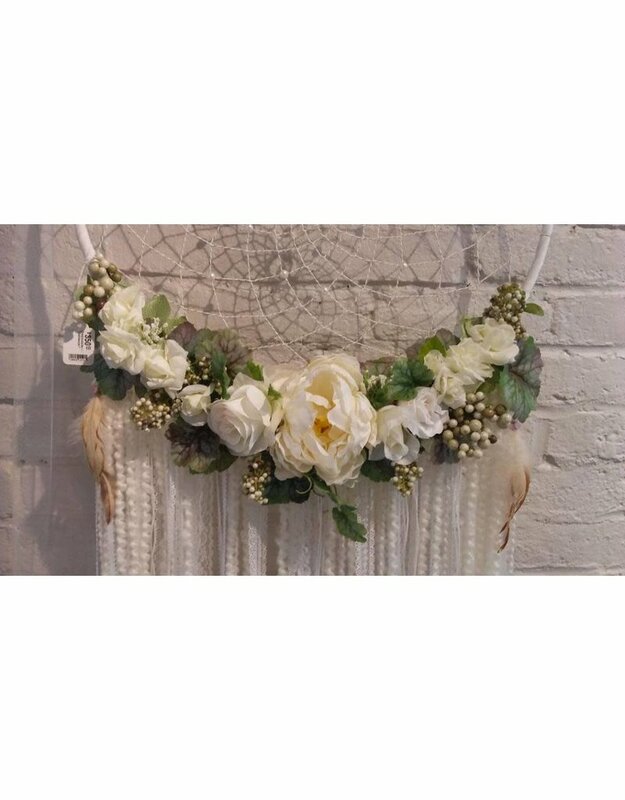 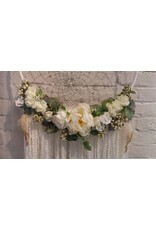 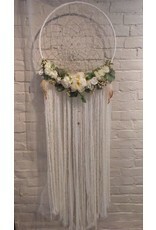 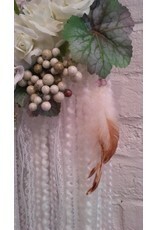 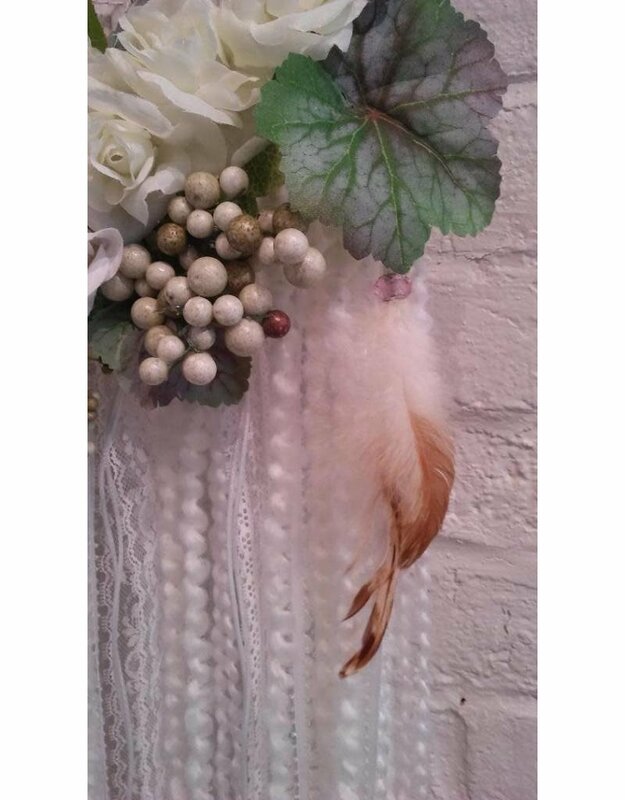 This dreamcatcher features a large swarovski crystal in it's center, as well as grape, flower and feather accents. 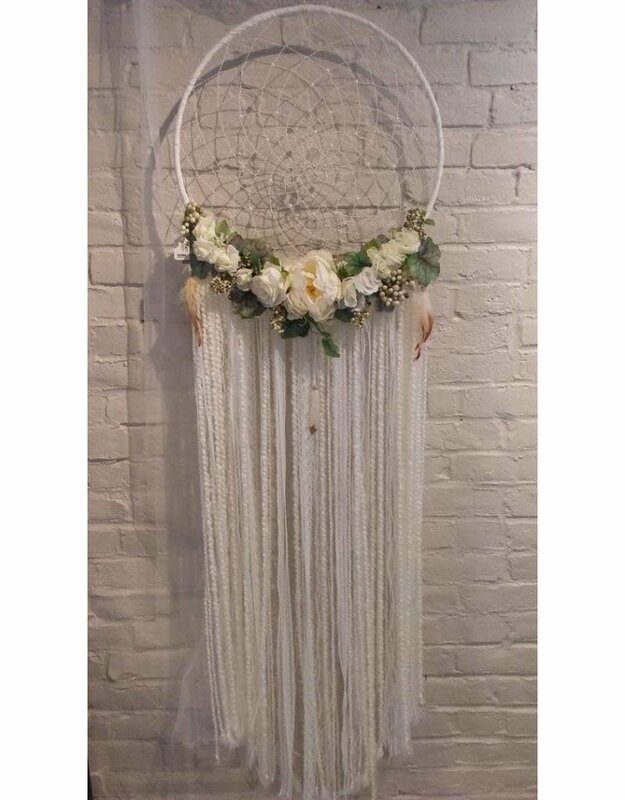 Perfect for weddings or that special someone.